Photo Booth Hire UK is a professional photo booth and magic mirror hire company based in Yorkshire. Hiring a photo booth or magic mirror in Wakefield would make the perfect addition to your wedding, party, prom, children’s party or corporate event. We believe in providing the best possible service at a competitive price. We also cover North, East and South Yorkshire as well as North Lincolnshire and Lancashire. Our party magic mirror and photo booth hire can be hired for a minimum of two hours, this means unlimited instant photos for your guests, a prop box full of kooky glasses & glitzy wigs to make your guests laugh that little bit harder! We can provide customised quotes for party photo booth hire ensuring you get the best possible prices!. Like the photo booth and magic mirror, proms have been imported from America and now a yearly glizty event for schools and colleges. Why not hire a photo booth or magic mirror for your Wakefield Prom Event, with standing or seated Photo Booths available you’re sure to find the perfect package. For further details of our Prom Photo Booth Hire Wakefield visit our Photo booth hire webpage or for Prom Magic Mirror Hire Wakefield visit our Magic mirror hire page. 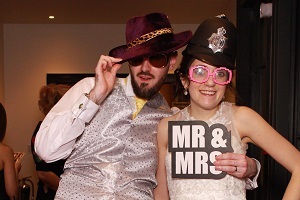 Hire a photo booth or magic mirror for your wedding and enjoy unlimited prints, guestbook, a large selection of props and a Free USB stick of all your guests pictures. With our magic mirror and photo booth hire packages we are sure you will find the perfect hire for your wedding. Two booth attendants, props, customisable HD prints and messages are also included as standard. Our standard photo booth 3 hour package starts from £395. This includes unlimited prints, guest book, USB Stick, props and much more. For further details of our Wedding Photo Booth Hire Wakefield visit our Photo booth hire webpage or for Wedding Magic Mirror Hire Wakefield visit our Magic mirror hire page. With our Party Photo booths we include our green screen system allowing you and your guests to choose from different images at any one event. Having a themed party fits perfectly with our Green Screen Deluxe booth, with popular backgrounds including Beaches, Disco Lights, Christmas Themes, Super heroes and many more, the choice is endless. For further details of our Party Photo Booth Hire Wakefield visit our Photo booth hire webpage or for Party Magic Mirror Hire Wakefield visit our Magic mirror hire page. Every child or teenager would like something special at their Party. Whether it be an 8th Birthday or a Sweet 16th your son or daughter’s party will not be forgotten with our cool photo booths. Two copies of the photos are printed during each visit and the digital copies of the prints provided on a USB stick at the end of the hire. Happy New Year! Apologies for the delay in contacting you, things have been a little hectic! We just want to say thank you so much for bringing the magic mirror to our wedding at Rise Hall on 10 December 2016. It was so fantastic! Everyone loved it and commented on how it was different. We have got some absolutely awesome photographs which we will treasure forever. Thank you so much for contributing to making our wedding one to remember!